The Middle East’s gold markets are some of the world’s oldest. In its contemporary Gold Demand Trends survey data, the World Gold Council see fits to list Saudi Arabia, Iran and Egypt as distinct Middle Eastern markets in this regional category. These markets of Saudi Arabia, Iran and Egypt are considered to generate sufficient consumer demand to justify listing them separately, and so this gives some indication that the gold markets in these countries are large enough to warrant analysis. Similar to Dubai, Turkey and India, and a lot of Asian markets, gold jewellery in all of these Middle East markets is purchased for its investment value as well as for its aesthetic value, so its important to view the gold market demand in this region in terms of both the gold jewellery sector and the gold bar and coin market. For the full year of 2015, the World Gold Council (WGC) estimates that demand for gold jewellery in Saudi Arabia totalled 68.9 tonnes, while the corresponding figures for Iran and Egypt were 38.5 tonnes, and 36.5 tonnes respectively. In the investment gold bar and coin demand category, the WGC estimates that for 2015, Iran led the field, generating investment demand of 32.8 tonnes, against 15.7 tonnes for Saudi Arabia, and 4.9 tonnes for Egypt. Given that the UAE is estimated to have recorded 8.5 tonnes of investment gold demand in 2015, this means that Iran accounted for 50% of the region’s 2015 investment gold demand. Adding the gold jewellery and investment gold demand categories to derive total consumer gold demand figures for the three countries reveals that Saudi Arabia recorded 84.5 tonnes of consumer gold demand, Iran 70.9 tonnes, and Egypt 41.1, giving a total of 196.5 tonnes, which was an impressive 68% of total Middle Eastern consumer gold demand in 2015 and highlights that there is more to the Middle Eastern gold market than just Dubai. Until the London Gold Pool collapsed in March 1968, the London Gold Market supplied the vast majority of gold into the Middle East, through regional distribution points such as Beirut, and directly into countries such as Bahrain, Kuwait, Syria, Libya, Turkey and Saudi Arabia. From 1968, Zurich in Switzerland took over some of London’s business when it started purchasing South African gold that had previously gone through London. Within the region, Dubai’s gold trade grew in importance from the 1960s as a gold smuggling and distribution point from Europe into India, Pakistan, Iran and other markets in the region. Beirut in Lebanon was one of the largest gold smuggling capitals for the Middle East during the Bretton Woods fixed gold price era, supplying markets such as Cairo and Damascus, and later Turkey. The civil war in Lebanon in the mid-1970s pushed more of the Middle Eastern gold trade to centres like Dubai and also to Jeddah in Saudi Arabia. Jeddah has historically been an important gold trading centre due to its strategic location on the Red Sea, and it served (and still continues to serve) surrounding markets including Egypt and other countries in the north-east of Africa. The Islamic Republic of Iran was established in 1979 following the Iranian Revolution. Due to the relatively closed nature of the Iranian economy after this time, less was known about the Iranian gold market relative to other countries. However, over the 2004-2005 period, Nigel Desebrock of Grendon International Research completed a study of the Iranian gold market and estimated that gold demand (gold jewellery + net bar and coin hoarding + scrap recycling) in 2004 totalled 139 tonnes, up from 119 tonnes in 2003 and up from 109 tonnes in 2002. Of the 2004 total, 118 tonnes was estimated to be gold jewellery demand which highglighted that to Turkey, Dubai, India and much of the rest of Asia, in Iran gold jewellery purchases are primarily as an investment and store of value. Grendon’s 2004-2005 study also confirmed that Iran’s main import sources for gold bars and imported gold jewellery were from Turkey and Dubai, a trend that was still intact in recent years,and which in part is borne out by Turkish trade statistics, for example 2012 and 2013, and Turkish gold jewellery export activity to Iran in 2015. With US and EU economic sanctions against Iran lifted in January 2016, Iranian trade, including the Iranian gold jewellery export trade, looks set to expand. Iran’s largest gold jewellery export markets include the United Arab Emirates, Turkey, Oman and Afghanistan. China’s new ‘One Belt, One Road’ (OBOR) initiative, which includes a recreation of the Silk Road trade route across Eurasia, includes Iran as a key part of the route, and the enhanced trade route is already opening up between Iran and China. China’s OBOR strategy also includes plans to strengthen cooperation between gold producers and users along the Silk Route, meaning that Iran’s gold industry is well positioned to benefit from support and cooperation from the significant gold sectors in China and Russia. See BullionStar blog “China’s Silk Road Economic Project Will Include Gold” for further details. A 2005 central bank document detailing by-laws on the import, export and trading in gold states that Iran’s central bank is authorised to import and export gold directly, and also to import and export gold through the Iranian banking system. These 2005 by-laws may be outdated, but they go someway to highlighting the controlling influence the central bank has (or had) on the domestic gold market. The by-laws also state that central bank is authorised to trade in gold. These rules also apply to the import, export and trading of silver and platinum. The central bank grants permit Iranian banks to import gold and to export fabricated gold. Banks must import gold in the form of internationally acceptable bullion bars. The rate at which authorised Iranian banks can buy or sell in gold on a certain day must be the rate announced by the central bank for that day. Commercial gold imports are not limited by the central bank, but the central bank and Iranian customs liaise so that the central bank, in its own words, can “control” the precious metals market. According to the document, gold bars and coins can only be exported by the central bank. The Iran Mercantile Exchange, based in Tehran, is a multi-commodity exchange established in 2007 which evolved out of a merger between the former metals and agriculturals exchanges. IME has over 70 member companies which are regulated by the Securities and Exchange Organization (www.seo.ir). IME is also a full member of the Association of Futures Markets. Numerous base metals, agriculturals and petrochemical products are traded on the IME, and in precious metals, the IME trades spot gold bullion and also lists a gold coin futures contract. The IME launched an Iranian Rial denominated gold coin futures contract in 2008. This coin futures contract is based on an underlying asset of Bahar Azadi gold coins. Trading in the gold coin futures contract take place on the Local Trading Floor between 10am to 6pm and is one of the most active contracts at the IME. Bahar Azadi (Spirit of liberty) coins were first issued by the Islamic Republic of Iran, via the Central Bank of Iran, following the 1979 Revolution. Sellers delivering gold coins in respect of the futures contract must present the coins in batches of 10, by appointment, at Tir Street branch of Saman Bank in Tehran on delivery date. Saman bank will issue a delivery receipt to the seller. On the same day, buyers for that contract, also by appointment, is required collect their gold coins from the same branch of Saman Bank. The mesghal is a weight unit used in Iranian gold trading. A mesghal is equal to 4.6083g, and the wholesale gold price in Iran is quoted in Iranian Rials per mesghal. 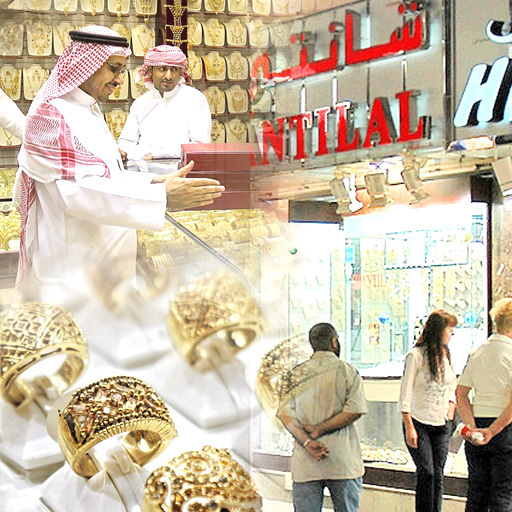 For retail customers, the gold price is quoted in Rials per gram. Physical gold bullion is traded on the IME’s Metals and Mining Trading Floor for a half an hour between midday and 12:30pm. Eligible gold bullion must have a fineness between 900 and 9999. Some of the gold offered on the trading floor comes directly from gold mines, for example on 5 October 2015, an offer 20 kgs of gold bullion from Muteh Mine was introduced to the trading floor, while on 26 November 2015, 26 kgs of gold bullion from the Zarshouran Mine was offered for floor trading. The Muteh Mine is in the Isfahan region, south of Tehran, and gold from this mine has been offered on the IME since 2009. The Zarshouran Mine is a newly opened gold mine in the Takab region, west of Tehran which is estimated to have an annual output of 3 tonnes per annum, rising to 6 tonnes per annum in 2017. Zarshouran plans to offer its gold on to the IME’s trading floor going forward. Iran is actively analysing all of its gold mines and gold deposits with the intention of re-opening mines and maximising output in what it sees as a ‘strategic substance’, and aims to produce up to 10 tonnes of gold output in the near future. The Iranian State owned mining development organisation, IMIDRO, estimates that the Zarshouran gold mine could have gold reserves of up to 150 tonnes. Arriving at an accurate estimate of official Iranian gold reserves held by the central bank is difficult due to lack of publicly available information. The Central Bank of Iran, also known as Bank Markazi, does not report official gold reserve data to the International Monetary Fund (IMF), and so the World Gold Council, which uses IMF data for reporting, does not include Iran in its world gold reserves by country dataset. There is however, plenty of evidence that the State of Iran / Iranian central Bank is, or at least has been, a major gold holder. In 1981, as part of the US financial settlement connected to the Iranian hostage crisis, 50 tonnes of Iran’s gold reserves that had been frozen by the US in the Federal Reserve Bank of New York (FRBNY) were returned to the Iranians via a gold swap on involving the Bank of England and the FRBNY. In April 2006, the US State Department relayed reports from Swiss media claiming that the Central bank of Iran had flown 250 tonnes of gold back to Iran from Zurich in late 2005 that had been deposited with Credit Suisse, and the same reports referred to another estimate that the Iranians had repatriated up to 700 tonnes of gold around this time, which was just prior to the imposition of a set of international sanctions in 2006. “that the Bank of England had observed significant moves by Iran to purchase gold. He said that he had not seen any evidence that this gold was being stored in apparent reserve locations (such as the New York Fed or Bank of England) and presumed that it was being taken to Tehran for storage. He surmised that this was an attempt by Iran to protect its reserves from risk of seizure”. A Financial Times article from March 2011 about the same State Department cable stated that market estimates of Iran’s official gold holdings were in the region of 300 tonnes, which would put Iran in the top 20 largest official gold holders. Varying reports from different officials at the Iranian central bank during 2011 and 2012 stated that the official gold holdings were as high as 500 tonnes and as low as 95 tonnes. Most recently, in July 2015, the Central Bank of Iran announced that it had brought back more than 13 tonnes of its gold from South Africa to Iran, that had been stored there for over 2 years after being purchased, and that the gold movement was undertaken because of a relaxing in sanctions. Iran therefore does have official gold reserves. It just doesn’t publish and data about the reserves. Given the severity of sanctions it has faced in the last number of years, and the strategic role of gold as an alternative to the US dollar, it is probably realistic to assume that Iran has accumulated gold reserves at the higher end of market estimates, and indeed higher than the highest estimate revealed by the central bank, which would mean more than 500 tonnes of gold. The gold market in the Kingdom of Saudi Arabia mainly comprises gold and jewellery manufacturers, distributors, traders, and retailers. Some of the large Saudi commercial banks also offer physical gold and gold banking products. But there are no exchange traded products or centralised spot gold exchanges in the Kingdom. Riyadh, Jeddah and Mecca are important centres for gold trading, and popular gold buying times during the year align with Ramadan (around June), the wedding season (eg June-July) and the Hajj pilgrimage (movable but can fall approximately September to November time) when pilgrims from all over the Islamic world visit Mecca, which is located approximately 100 kms from Jeddah. A 2014 estimate put the number of participants in the Saudi gold market at 6,000 retailers and 250 workshops representing trading activity of SAR 30 billion (USD 8 billion), about one tenth the size of the larger wholesale Dubai gold market. SAR = Saudi Rial. It’s also worth remembering that Dubai-based gold wholesalers and jewellers supply gold into Saudi Arabia, as they do for a lot of other market in the region. Using World Gold Council figures of gold jewellery and investment gold bar and coin demand to compare gold markets in the region, for example Saudi Arabia versus UAE (as a proxy for Dubai), will tend to hide the fact that Dubai is a far larger gold import and re-export market. However, on a domestic basis, Saudi Arabia’s 2015 gold jewellery demand (68.9 tonnes) and investment gold bar and coin demand (15.7 tonnes) compares favourably to the corresponding figures for UAE, 49.9 tonnes for gold jewellery and 8.5 tonnes for investment gold bar and coin demand. Another indciator of Saudi’s importance as a gold market is Swiss gold export data. In 2015, Switzerland exported 45.7 tonnes of gold directly to Saudi Arabia, which is not insignificant. However, Saudi gold traders have voiced concern that a number of market frictions are impacting Saudi’s competitiveness compared to Dubai. For example, Saudi authorities levy a 5% import due on manufactured gold imported into the Kingdom. This has increased calls from the Saudi gold sector to lower this duty since it is perceived to be diverting import and re-export business to Dubai where the import duty is only 0.5%. “Jewellery of Gold” (HS 71131910) has a duty rate of 5%, while gold ingots (HS 7108) imported into Saudi Arabia are duty-free. Stricter Saudi visa requirements for non-nationals versus comparable requirements in Dubai are also seen as restrictive in attracting foreign investment and non-national gold traders and goldsmiths to Saudi Arabia. Another component of the Saudi gold market is the upstream gold mining sector. Although the gold mining sector is relatively small on a global scale, its important to the national economy. Ma’aden is a State-controlled owned company established in 1997 to explore and develop Saudi Arabia’s mineral wealth. Ma’aden originally specialised in developing the country’s gold resources before branching out into other minerals and metals such as aluminum and phosphate. Currently Ma’aden’s 100% owned subsidiary, Ma’aden Gold and Base Metals Company (MGBM), controls 5 operating gold mines in the country, namely, Mahd Al-Dhahab (golden cradle in Arabic), Al-Hajjar, Al-Sukhayeibrat, Al-Amar, and Balghah, with 2 further gold mining operations planned in other locations. Ma’aden recorded production output of 164,000 ounces (5.1 tonnes) of gold in 2015, up from 152,000 ounces (4.73 tonnes) in 2014, so Saudi’s gold output is still relatively small by international standards. L’azurde, founded in 1982 and headquartered in Riyadh, is the Middle East’s and Saudi Arabia’s largest jewellery manufacturer and one of Saudi’s leading brands in the gold jewellery and luxury sector. It also has manufacturing operations in Egypt and is the 2nd largest jewellery distributor in Egypt. L’azurde runs its own gold refinery in Riyadh. This refinery was the first gold refinery in the Middle East to attain Good Delivery accreditation from the London Bullion Market Association (LBMA), and was the only gold refiner from Saudi Arabia on the LBMA Good Delivery List for gold between June 2010, when it was added, and February 2016, when it was transferred to the LBMA’s former list. The Riyadh refinery processes gold scrap and its output is mainly used within in-house jewellery fabrication which includes 21 karat and 18 karat products. Along with L’azurde, Fitaihi, a large gold jewellery and luxury goods group, and Al-Moallim, a gold jewellery and watch manufacturer and importer, are other important players in the Saudi gold jewellery sector. The Council of Saudi Chambers of Commerce and Industry is a body of 28 national chambers, one of which, the Precious Metals and Stones National Committee, represents the national interests of local chambers within the Saudi gold and jewellery industry. National Commercial Bank (NCB), also known as Al Alhi Bank, offers its customers gold ‘cash’ accounts for holding and trading gold (minimum limit of 100 ozs), and also offers gold consignment stock services and loans against gold collateral for commercial clients. Arab National Bank’s treasury division offers customer gold accounts for holding and trading gold, and also spot and forward gold trading facilities. Saudi Arabia’s central bank, the Saudi Arabian Monetary Agency (SAMA), manages the Kingdom’s official gold reserves. Up until 2008, SAMA had reported official gold holdings of 143 tonnes. In 2010, but backdated to the first quarter of 2008, SAMA revealed that it had adjusted its gold holdings upwards by 179.9 tonnes to 322.9 tonnes[. SAMA’s revelation was included in a footnote to its 46th annual report in which is stated “gold data have been modified from February 2008 as a result of the adjustment of the SAMA’s gold accounts“ Since then, SAMA’s gold holdings have remained static at 322.9 tonnes. Given that SAMA has other accounts that can hold gold, and given that this ‘accounting’ difference trick has already been publicly used once by SAMA to boost its gold holdings, it creates the distinct possibility that Saudi Arabia’s sovereign gold holdings may be far higher again that what it is even publicly revealing now. For a region that’s synonymous with the skilled use of gold within it ancient civilisations since at least 4,000 years ago, it’s not surprising that gold still plays a central role in Egypt. Similar to other markets in the Middle East, it’s also not surprising that much of the gold market in Egypt revolves around the gold jewellery sector. There are estimated to be over 30,000 jewellery outlets in Egypt, with over 12,000 of these outlets in the capital city, Cairo. In 2015, Egyptian gold demand totalled 41.4 tonnes, comprising 36.5 tonnes for gold jewellery and 4.9 tonnes for gold bars and coins. Raw gold imports into Egypt total approximately 30 tonnes per annum. L’azurde, one of Saudi Arabia’s leading jewellery groups, has 3 manufacturing plants in Egypt and estimates that it has a 40% share of the Egyptian jewellery fabrication market. Unfortunately, recent political instability and violence in Egypt has had some knock on effect on Egypt’s economy, including the gold sector and the tourism industry, which itself is a demand driver of the domestic gold sector. Cairo’s Chamber of Commerce operates a chapter for dealers in precious metals and gemstones, while on a national level, the Federation of Egyptian Chambers Of Commerce has a ‘General Section of Gold & Jewelry’ grouping, which represents Egyptian jewellery businesses in domestic and international trade matters. In April 2014, the Egyptian Ministry of Supply talked of plans for a gold exchange or gold bourse, however nothing has come of these plans, and it’s not clear if this would be part of, or distinct from country’s main securities exchange, The Egypt Exchange. The World Gold Council’s current quarterly time series of official central bank gold holdings only begins from the year 2000. According to that data series, the Central Bank of Egypt is listed as holding an unchanging 75.6 tonnes of gold reserves since 2000. In 2011, the Central Bank released a document in Arabic titled “Results of the inventory of the Egyptian Gold Reserves”, which confirmed the 75.6 tonnes gold holding, and stated that the then central bank governor directed that a 15 member inventory committee should inventory the bank’ gold holdings every 5 years. Centamin is the only major gold mining company operating in Egypt. Originally an Australian enterprise, the company’s shares are now listed on the London and Toronto Stock Exchanges. Centamin’s operating gold mine ‘Sukari’ is located near the Red Sea in the south-eastern part of the Eastern Desert, and the company has its corporate office in Alexandria. Commercial gold operations at Sukari began in 2010 and at that time Centamin began exporting its gold output to Johnson Matthey’s gold refinery in Canada (which is now run by Japan’s Asahi Refining). Centamin has not been immune to Egypt’s political instability and sometimes risky business environment, and has seen a number of periods during which the Egyptian Government has either stopped gold exports by the miner, or else threatened to revoke its mining concession. In 2015, the Sukari gold mine produced 439,000 ounces (13.65 tonnes) of gold, with a forecast of 470,000 ozs (14.62 tonnes) for 2016. The gold markets of Dubai and Turkey receive significant media attention, and deservedly so. However, there tends to be far less focus on their regional counterparts. Although Middle East gold markets ebb and flow in importance, the gold markets of Iran, Saudi Arabia and Egypt have each, to various extents, managed to stay relevant, and their future importance such not be underestimated.